Tile is an important part of many bathrooms. Tile walls, tile floors and tile back splashes are all practical and beautiful elements of any bathroom. More and more homeowners are also opting for a tile shower floor. 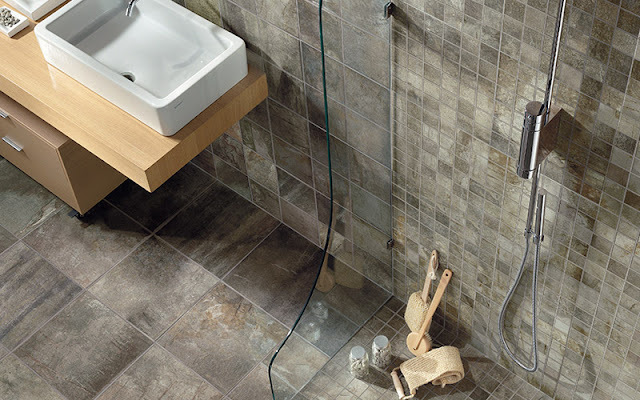 There are some design and practical elements that should dictate which type of tile you select for your shower floor. Indianapolis tile store Kermans has 5 tips to help you find the best tile floor for your shower. Do you have a large or small shower? Does it have a curved edge? Is it a level walk-out? All of these characteristics will have an influence on the type of tile you select. For example, if you have a curved wall you'll need to select a smaller tile that can more easily be cut to fit the shape. If you have a large, square or rectangular shower you can select a larger tile (but you'll want to keep tip number two in mind if you do). 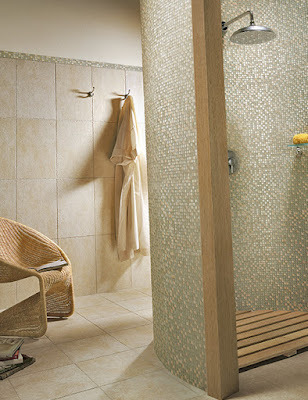 Your first instinct might be to select your shower tile floor with appearance in mind. We don't blame you! Today's tile selections offer a beautiful array of colors and styles from which to choose. Our best advice? Put the design on the wall or backsplash and be more practical with the shower floor. Clearly the shower floor is going to get wet and you'll want a floor that is safe - not slippery. Ask to see the tile's slip resistance rating. A floor with an A or even B rating should be fine, but a C or lower is not a safe shower choice. The size of your tile also impacts its slipperiness. Smaller tiles have more grout lines which naturally give more traction. This may seem like a silly tip since tile is a naturally water resistant choice. However, the mineral content of your water will make some tiles impractical. You'll also want to talk about the installation process because installing tile in an area where it won't just be splashed - but soaked in water - makes a difference. If cleaning the shower is low on your list of priorities, go with larger tiles because they are easier to clean than small mosaic tiles. The size of the tile you select will change the look of your room. Larger tiles can make a small bathroom look roomier. This is also where you might want to consider one size for the floor and a different size or style for the walls. Talking to a flooring designer can be a big help in finding the right balance for your room. Kermans offers free design assistance to all customers for any size flooring project. It's just one of the services we offer that makes shopping at Kermans a better experience for our customers. We call it the Kermans Advantage. Ready to start your bathroom floor project? Let Indianapolis tile store, Kermans help from start to finish.